Figure 12-4: RPC-225 ambushing MST Alpha-12. Containment Protocols: RPC-225 is to be contained in a standard containment unit and the entity's containment unit is to be cleaned of all organic materials on a bi-weekly basis. The sanitation of RPC-225's containment unit is to be considered a high priority task, and must be maintained at the highest standard. Under no circumstances are any rodents, canines, felines, or any other small animals allowed in the facility in which RPC-225 is contained. Any instances of RPC-225-1 found on RPC-225 or in its containment are to be immediately removed and summarily incinerated. Description: RPC-225 is a set of two humanoid leg bones and feet, measuring 1.26 meters in length. RPC-225 is capable of movement, and has an instinctual awareness of its surroundings, with its range of perception being approximately 100m at its initial stages. If no living creatures are within range of RPC-225, it will wander with no determinable pattern until it comes into contact with another creature. Once a creature is within range, the entity will become extremely aggressive, and will attack anything within its range. In its initial stages, RPC-225 will track, hunt and exterminate smaller creatures, mainly via crushing. Creatures hunted by the entity in its initial stages include rodents, insects, and even small cats and dogs. It should be noted that the entity has been seen targeting its victim's throat while in this stage, demonstrating a clear understanding of its prey's weak points. Figure 12-5: Sketching of RPC-225 in initial stages. Once the target has been terminated, RPC-225 will begin to absorb the victim's biomass via an unknown means. The amount of biomass absorbed by the entity depends on the size of the creature killed. This process leads to the formation of a flesh-like substance on RPC-225, now designated as RPC-225-1. The amount of RPC-225-1 created seems to be directly correlated with the amount of biomass absorbed by RPC-225.1 RPC-225 grows exponentially stronger with the presence of RPC-225-1 on its body. In addition to the formation of RPC-225-1, the absorption of biomass also creates additional marrow and bone for RPC-225, with the first bone structure being formed being the pelvis. The entity will continue to hunt creatures, absorb biomass, and form more parts of its skeletal system, which in turn leads to more areas for RPC-225-1 to form.2 In addition, RPC-225's capabilities grow in tandem with its size. The entity not only becomes significantly stronger and faster as it grows in size, but also shows signs of increased intelligence and awareness. Later stages of RPC-225 have been observed detecting prey from at least 300m, three times that of its initial stage. The entity has also been observed setting traps and ambushes for more dangerous prey in its later stages, allowing it to consume creatures it otherwise would not be able to hunt through direct confrontation, such as bears and humans. A notable example of this was Incident 13-03, where RPC-225 ambushed Authority personnel in an enclosed area, forcing a close quarters engagement, where it would have a distinct advantage. Authority psychologists have determined that RPC-225 is an extreme perfectionist in its later stages, displaying symptoms that were not visible during its initial stages. Psychologists also note that RPC-225 shows symptoms of severe narcissism and egomania when semi-formed. "The entity will initially hide and use stealth while weak. But once it becomes more powerful, it becomes exponentially bolder. Blatantly attacking people, not hiding its tracks, taunting Authority personnel, even attacking in broad daylight. It's as if it thinks it can't be stopped." While the entity has never been able to fully acquire all of its cephalic components, it has gotten dangerously close, with the closest being after Incident 13-03, where RPC-225 broke containment and was tracked by MST Alpha-12, code named: "Headhunters." When found, RPC-225 had found all its cephalic components save for its eyes and nose. RPC-225 was exponentially more difficult to re-contain due to the presence of these features, and it is hypothesized that, should RPC-225 become fully formed with all cephalic components, the entity will become impossible to contain, and would require re-classification as omega-purple. Discovery: RPC-225 was brought to the attention of the Authority when Authority personnel were contacted by Senator █████ ███████ of ████████, USA. Authority personnel were sent to assist in the investigation of several homicides in which an anomalous entity was suspected to be involved. The victim's head and facial features were carefully removed by an unknown means. After several weeks of investigation, RPC-225 was discovered, and MST Alpha-12 was deployed for containment. RPC-225 was semi-formed with a head and several facial features, and caused significant damage to Alpha-12 during containment efforts. The operation resulted in █ casualties, but was ultimately successful. The efforts of Agent Johnathon Wesley and the role he played in the containment of RPC-225 was noted and duly rewarded. Foreword: Following Incident 13-03, RPC-225 has displayed some extremely extraordinary behavior, particularly whenever Agent Johnathon Wesley passes its containment unit. Dr. Isaac: [Clicking Sound] Alright, we're recording. Now, Agent Wesley, please state your name, Authority ID, and position for the record, if you please. Agent Wesley: Uh, [coughs] yes sir. My name is Johnathon Wesley, ID: 134675, and I am part of the Mobile Specialised Taskforce Alpha-12. Code-named: "Headhunters." Dr. Isaac: Good. [shuffling paper] Agent Wesley, are you aware of why you were called in here? Dr. Isaac: Ah, you were not informed. Typical. You see, Agent Wesley, we have noticed RPC-225 acting very strange as of late. It becomes extremely agitated and starts repeatedly ramming itself into the containment chamber wall, traveling across it as it does so, as if following something. Eventually, however, it will just…stop. Though it will stand in front of the last place it rammed for a unsettling amount of time. Agent Wesley: With all due respect, sir, I fail to see what that has to do with me. Dr. Isaac: I'm getting to that, Agent Wesley. This behavior stumped us for a rather long time, and was very concerning to us in containment. Can't be having the RPCs ramming into the walls without knowing why. Dr. Isaac: This is no laughing matter, Agent Wesley. Such behavior could lead to a containment breach. Do you find containment breaches to be a laughing matter, Agent? Dr. Isaac: [long pause] Good. Now, as I was saying. We reviewed some of the security footage during these instances and found a startling correlation: RPC-225 only displays such aggressive behavior whenever you walk by its containment unit. It even follows you along the containment unit walls whenever you happen to turn a corner. Dr. Isaac: Do I need to file a complaint to your superior regarding your, frankly, disturbing un-professionalism, Agent Wesley? Agent Wesley: [continues laughing.] Sorry…sorry. [coughs] My deepest apologies, sir, I just wasn't aware Gatsby could be so…spiteful. [long silence] Ah, right. Gatsby is what Alpha-12 and I call 225. You know, because…he builds himself, like a literal self made man? I-It's not important. Dr. Isaac: Noted. Do you know the reason why RPC-225 behaves in such a way when you pass by? Agent Wesley: Well, [Agent Wesley shrugs] I don't know the exact reason why, but I have a guess. Dr. Isaac: Very well, continue. Agent Wesley: Well, the thing is, I was the one who cut Gatsby's head off back during Incident 13-03. The thing had nearly all of its parts, except its eyes and nose. Not to brag, but it was thanks to me chopping 225's head off that we were able to re-contain the thing. It was actually what got Alpha-12 our nickname. I think that really pissed it off. [small chuckle] You should hear it scream when it has a head. It almost sounds incredulous. Like its saying: "how could some puny thing like you stop ME more than once?" It gets kinda funny…you know, once you get past the nightmares. Dr. Isaac: Please stay on topic, Agent Wesley. Agent Wesley: Erm, yes sir. Well the point is: Gatsby and I have quite a history. I think it recognizes me at this point, and based on how many times I've chopped its head off, I imagine it isn't very happy to…erm…feel me? I guess. Dr. Isaac: I see. Your hypothesis has been noted. [shuffling paper] And, how many times have you decapitated RPC-225? Agent Wesley: Two times. During initial containment and during Incident 13-03. Dr. Isaac: Ah, I suppose that makes sense then, given the circumstances of RPC-225's anomalous properties. Very well then. While we cannot confirm your theory as of yet, for now, please refrain from passing by RPC-225's containment unit during your duties, if you please. Agent Wesley: Yes sir. Is that all, sir? Dr. Isaac: I believe so, thank you for your time, Agent Wesley. Closing Statement: Agent Wesley has since adjusted his daily route to avoid RPC-225's containment unit. RPC-225's anomalous behavior has since ceased. 1. Note: In containment, small amounts or RPC-225-1 forming on the entity has been observed. It is hypothesized that RPC-225 is capable of absorbing trace amounts of organic material in the surrounding area should no prey come within its range for a long period of time. RPC-225-1 has been proven to be weak against fire via testing. 2. 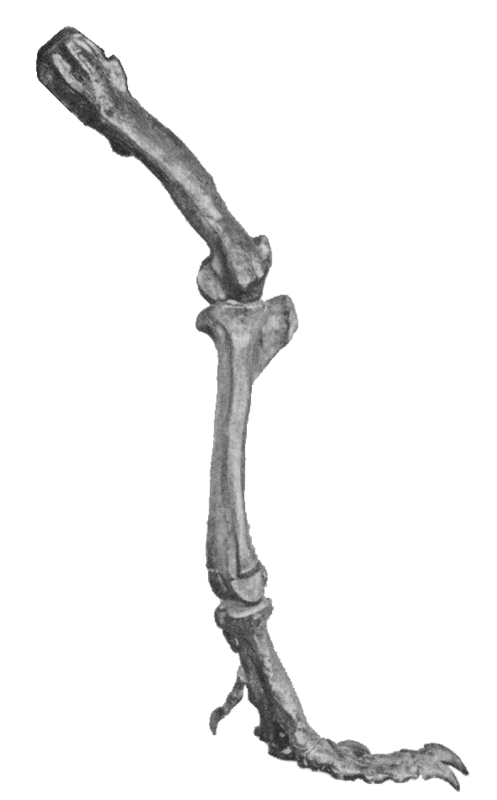 RPC-225 possesses a skeletal structure that is radically different to that of a human. Fully formed, RPC-225 has a recorded height of 3.24m and a weight of 130kg. 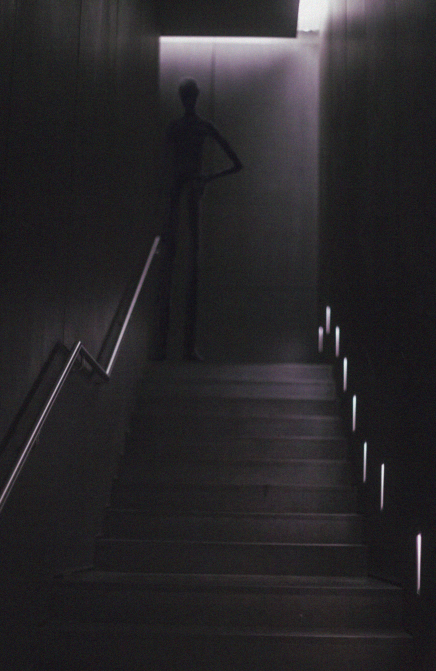 Additionally, the entity also possesses elongated arms and fingers. 3. Note: Should the entity be terminated, it will eventually reform into its initial stage out of whatever remains of its corpse. All attempts to prevent reformation, or to destroy RPC-225 immediately after reforming have failed, or simply resulted in another reforming event. 4. Note: RPC-225 seems incapable of forming sensory organs and structures, such as the ear and eye, via biomass absorption. It is hypothesized that these structures and organs are too complex for such a process, and as such, must be taken from human subjects.